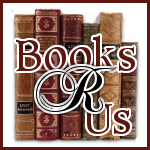 Ginger High- Books R Us: THE 12 PEARLS OF CHRISTMAS SERIES AND GIVEAWAY. THE 12 PEARLS OF CHRISTMAS SERIES AND GIVEAWAY. Here's a sneak peak post of the 12 Pearls of Christmas series that I'll be hosting at my blog for the next few weeks! Please follow along through Christmas day as each post shares heartfelt stories of how God has touched a life during this most wonderful time of the year. AND BEST OF ALL ... there's also a giveaway!!!! 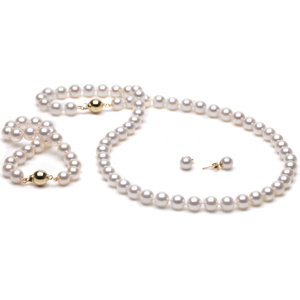 Fill out the quick form at the link located at the bottom of each post to be entered to win a PEARL NECKLACE, BRACELET AND EARRINGS! Pearls - a tangible reminder of God's grace to us all. So this year, Lord willing, I will be sending out my cards—and enjoying every bit of it; and in case you wondered, Mary did you know . . .? will be the theme. About Anna: Anna G. Joujan was born in South Dakota, as a Canadian citizen, and was raised in Zambia, the child of missionary teachers. Since her family’s move to the U.S., Anna spent her childhood and early adulthood traveling throughout the world thanks to various educational and work opportunities . . . France, China, Peru, and Jamaica being some of the stops in her journeys. Her undergraduate degree in French Literature led to a Masters in Information Sciences, and to work as a college and high school librarian, and a cross country coach. She has also returned to Zambia multiple times to teach for individual families and for local schools. All the while continuing pursuing her passions of writing, artwork, photography . . . and card-production. You can find her online at http://annajouj.wordpress.com. A three strand pearl necklace will be given away on New Year's Day. All you need to do to have a chance of winning is to fill out a form starting 12/13/10 . One entry per person, per day. The winner will be announced on the Pearl Girls Blog (http://margaretmcsweeney.blogspot.com) on New Years Day! Stop by each day for your chance to win.